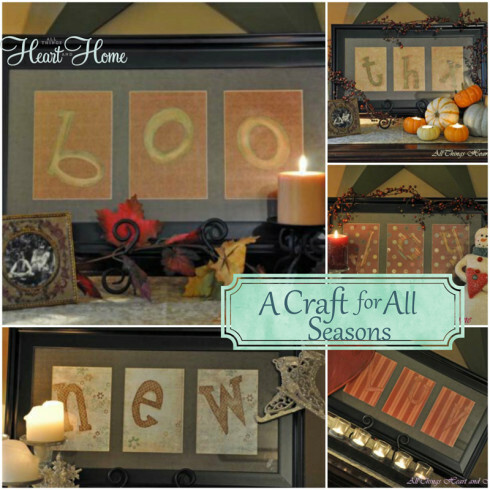 A Paper Craft for All Seasons! 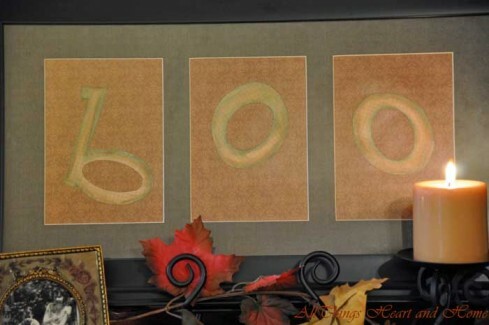 Craft paper has so many possibilities! I found this frame with a mat for three photos for super cheap and decided to add words instead of pictures! And what if the words were seasonal? Then this little decoration could be used for lots of holidays! All I had to do was come up with three letter words for each of my holidays…hummm. 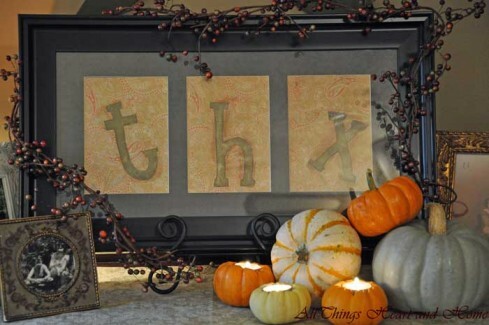 How about THX for Thanksgiving? 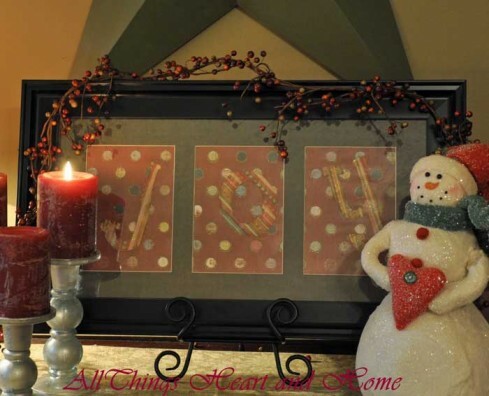 The Christmas word was easy…Joy! And New Year’s, well that was kinda obvious! Sending love from me to you my friends! I love it! I love your creativity! .-= Chelsea´s last blog ..Love It… =-. Now this one is for me. I lay (lie?) in bed at night and put words together! Adorable, Robin. Is there no end to your creative zeal? This is a craft my non-Martha fingers can do! Thanks for sharing. .-= Celesta´s last blog ..To everything turn, turn, turn =-. 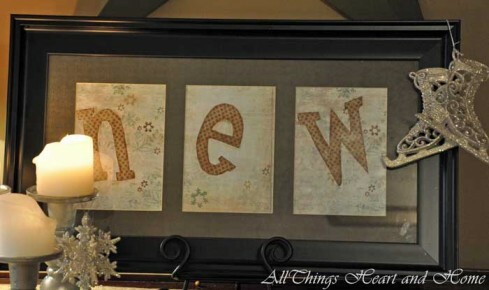 Such a great use of scrapbook paper and multi-functional 🙂 Now I just need to find a handy craft store instead of the one that is so far away! .-= Vicky´s last blog ..The Party =-. What a great idea, Robin! Your blog is so neat. I love stopping by to see what you’re up to. .-= Jean´s last blog ..YA Book Review: Take Your Best Shot =-. Hi Robin! This is just so darling! I love it. .-= Shelia´s last blog ..Little Pieces of Me =-. How cute! And so clever! .-= Lisa´s last blog ..Sausage, Spinach and Cheese -Stuffed Shells =-. What a cute idea! I saw this apothecary jar idea. I couldn’t have more than 3. To fit my space and not be overwhelming. So, I was trying to come up with 3 letter seasonal words. Thanks for the inspiration! .-= Amber´s last blog ..Summer Camp @ Home: Week 1 Kindness =-. GREAT idea! I love it! You have the eye. .-= sherri´s last blog ..SAVE the Ta’s Ta’s! =-. 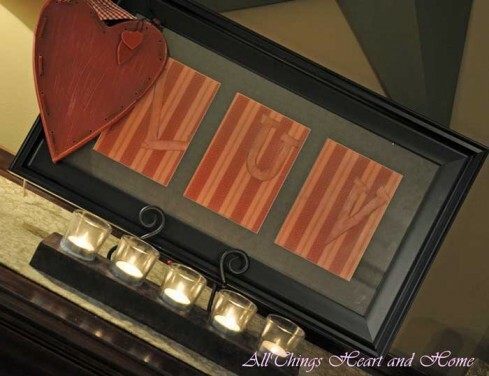 .-= pk´s last blog ..Creative Decorating Ideas =-. Great idea!!! I love the interchangeableness of it all!!! I featured this on somedaycrafts.blogspot.com Grab my “featured” button. 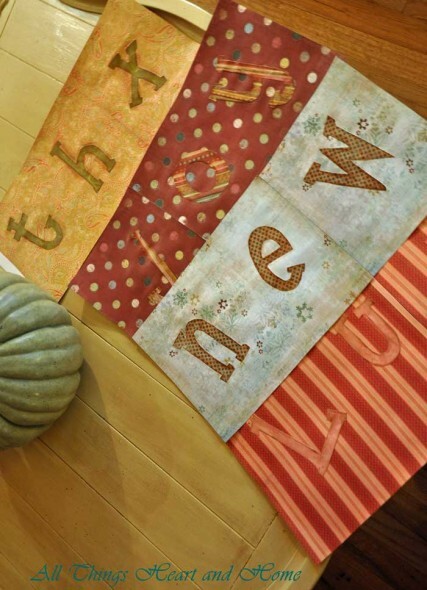 .-= Someday Crafts´s last blog ..Paperback Pumpkins =-. Wow! What a creative and fun idea! I love it – perfect for all seasons and so pretty each time! Great job! 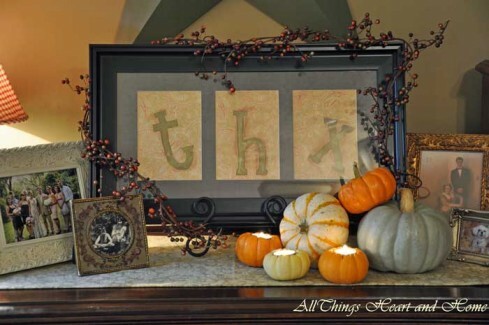 .-= Roeshel´s last blog ..Fall Festival – Week #6 =-. I love this & may steal the idea. I really like how you made inserts for almost each holiday. Brilliant!!! 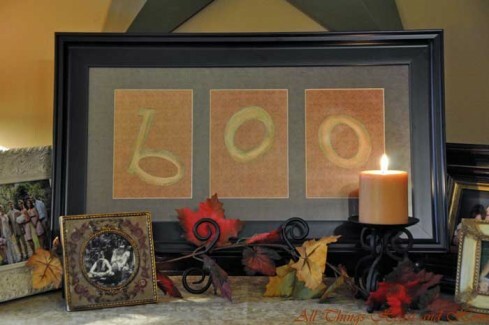 .-= Kim´s last blog ..Spooky Alphabet Art =-. Love your boo sign! Great ideas for all the other holidays too. Thanks for sharing. .-= Leanne´s last blog ..There are Ghosts In My House =-. You have inspired me, on the look out for the perfect frames. Great work. Love this – so classy and easy!! .-= Kim´s last blog ..Wordless Wednesday =-.